Yes you read it right! Couple of months back when we had a visitor from our US office, I was requested to cook for the entire staff along with our guest who is a Mexican. She prepared a Mexican rice dish and a delicious salad. 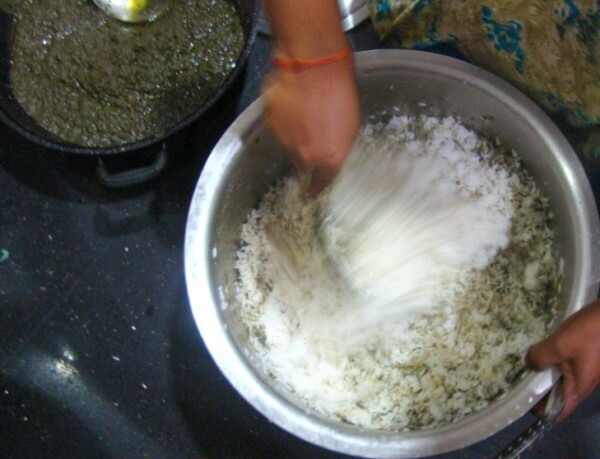 I once made Channa Pulao and that lead to cooking an entire meal for the staff. We are about 100 of us and planning an entire meal was really tough, not to mention scary for me. But with a supportive team, we got it right. This time round since it was going to be for evening, plus being just one dish, I thought I could easily manage myself. I had the cook to assist me of course. It was utterly fun. And the Mexican dishes turned out superb too. Will be sharing those two recipes soon. Since the cooking had to be done in one shot, I had to choose something that can be cooked and simply mixed. 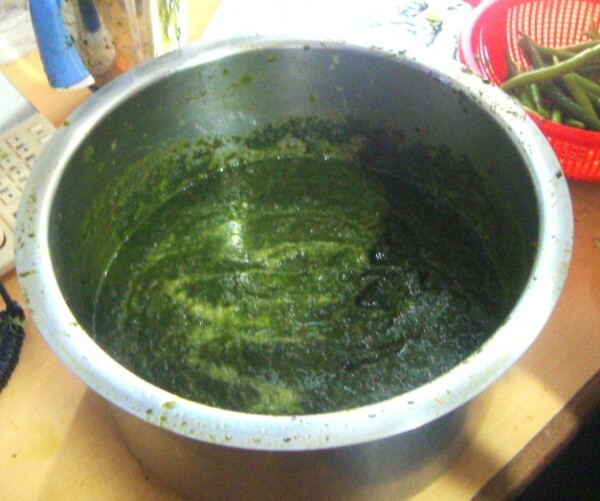 I was planning to make Karuvapillai Sadam / Curry Leaves Rice. 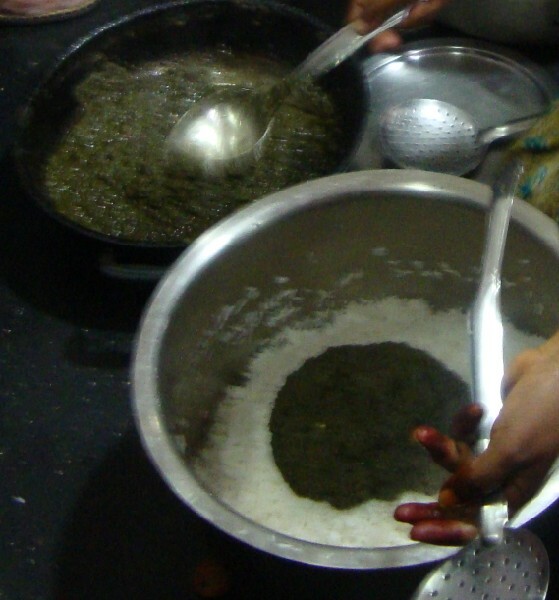 But it was a period even getting a twig of Curry leaves was proving to be toughest task for us. So there was no question any vendor sparing us 14 kg of those leaves.I got it confirmed with Amma on the amount of leaves I will have to use. Even if I can measure the quantity, I feel happy confirming with her. It always feels like we are planning a grand extravaganza! I finally settled on Kothamalli Sadam, hoping we will be able to source this in bulk from the main market. 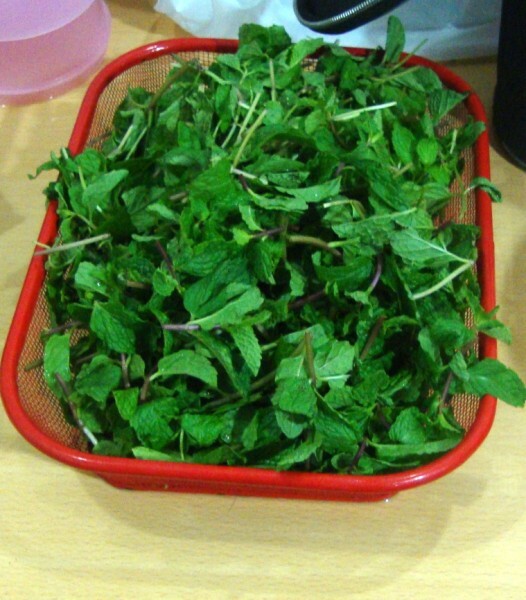 I requested for those herbs to be bought ahead, fearing their unavailability. We were supposed to serve at 5 but I ended up starting the process only at about 3 pm or later. Since we had those other two dishes being prepared, time simply flew. Plus the distraction of others dropping in to check what’s happening, made sure we crossed the decided time. 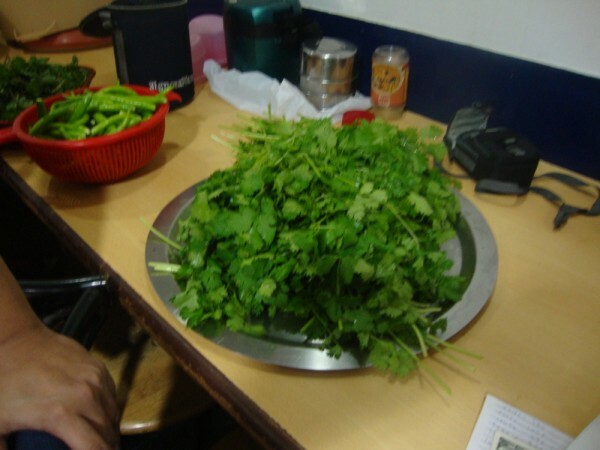 Well I am talking about cooking 7 kilos of rice, that used nearly 15 huge bunches of Coriander leaves. Anyway when you cook for 4, this hardly takes time and very quick to get done. Please excuse the pictures as the lighting was bad in our office pantry and I was trying to manage clicking pictures with a messy hand, while stirring the pot literally! 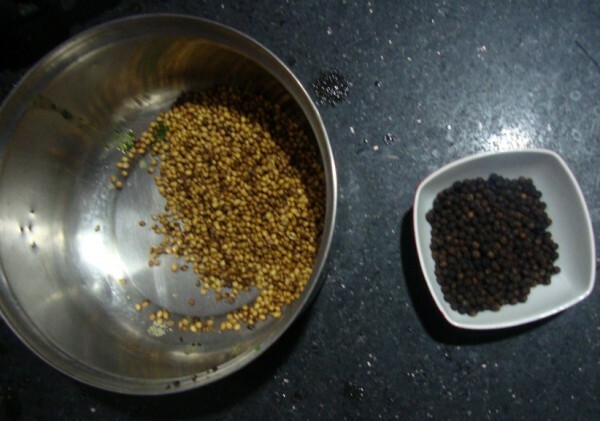 For 100 people, I used about 7 kilo of rice, 15 Bunches of Coriander leaves, 2 bunches of Mint leaves, 500 gms of Green chilies, 250 gms of Whole Coriander Seeds, 100 gms of Whole peppercorns. I actually ended up using only 5 kgs of rice, and shared some of the coriander leaves with my colleague for her dish. Serving for 4 you can use this measurement. Roasted Cashew nuts for garnishing. Trim and wash the leaves, let it drain aside. 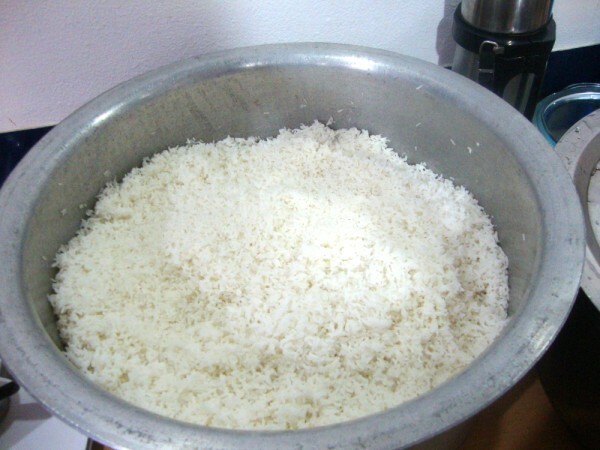 Wash and soak the rice for 15 mins. 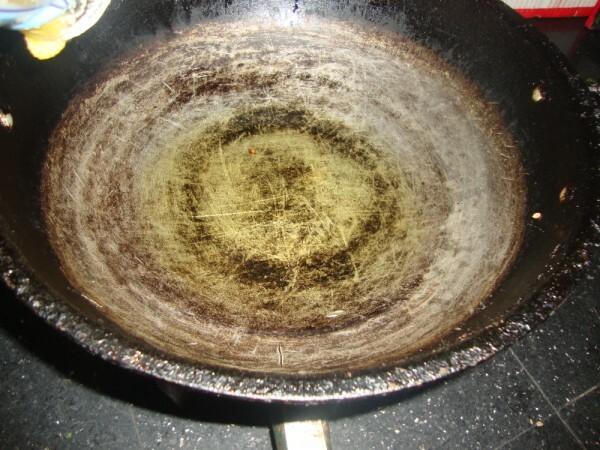 Once done pan cook the rice with 4 cups of water and keep it aside. 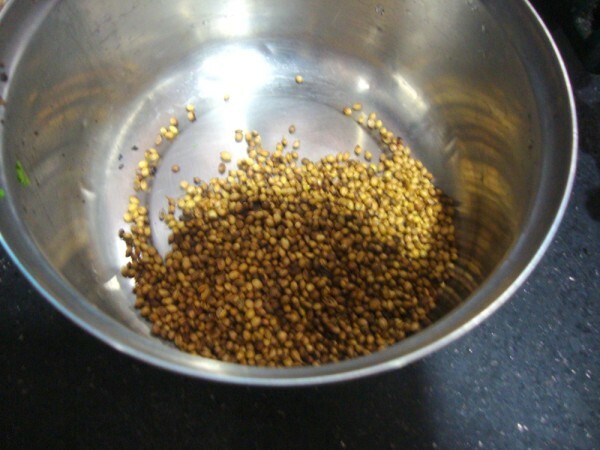 Roast both the coriander seeds and peppercorn separately and powder to a fine texture. 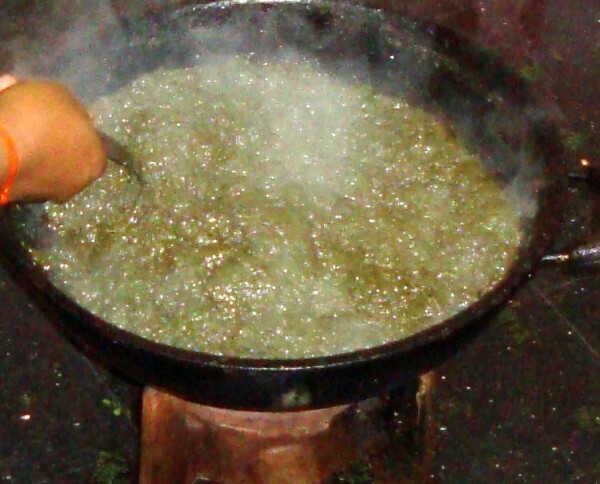 Grind the leaves with using very minimal water. Since you will have to get a thick paste you should not use lot of water. Sieve to ensure you don’t get the fiber. 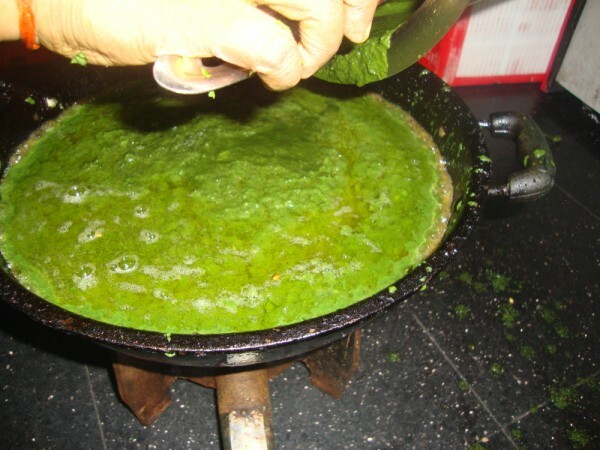 Grind Green chilies separately. Heat a pan with 3 tsp of oil, add the paste, major amount of the chili paste. Cover it with a lid and continue cooking. It takes about 10 mins, you will have to keep stirring in middle so that the bottom doesn’t get burnt. Increase the spice if you require too. Once the paste comes out real thick, remove from flame. 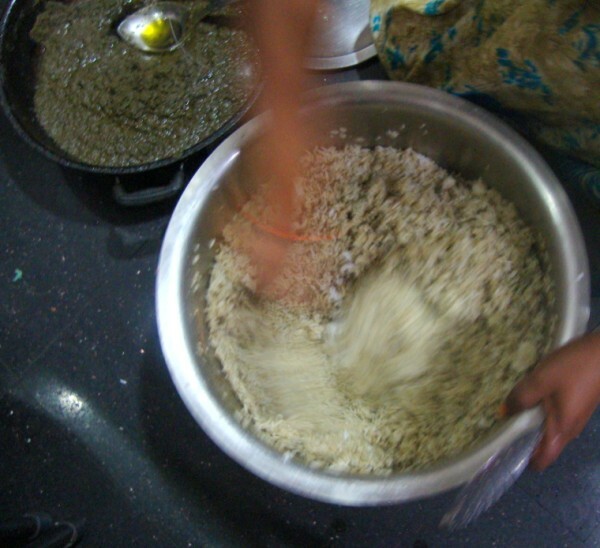 Mix this paste directly to the cooked rice, add the ground coriander and pepper powder. Adjust the taste with salt. Add some cashews to the rice and mix well. Finally garnish with roasted nuts on the top. 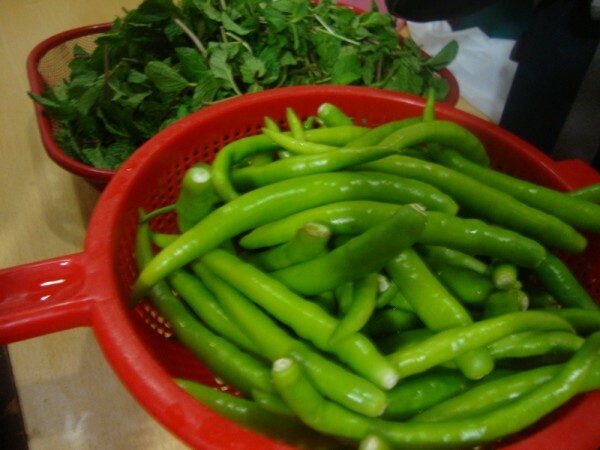 Grinding the Green chilies separately is best as you can always add more if required. Same goes for the coriander and peppercorn powder. 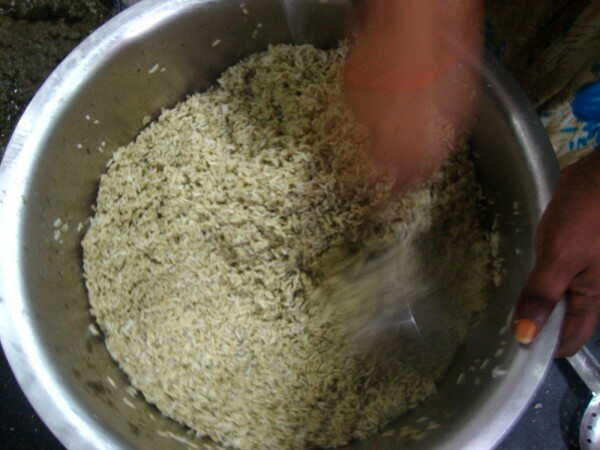 Rice has to be cooked as grains and mushy. oh my my….grt n intersting….lovely rec n amazing work by super duper lady chef!..hats off!!!!!!!!! I got tired by just reading it. 7kg rice???????? 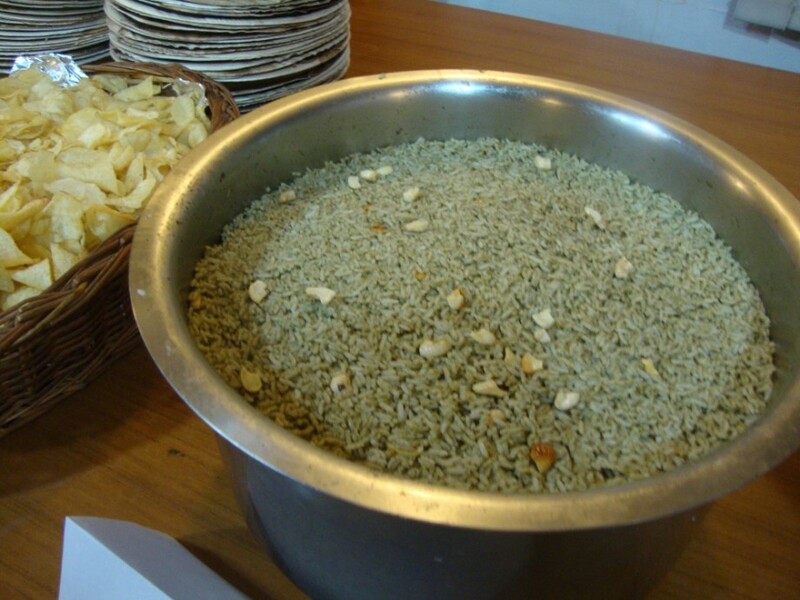 Hats off to you for the great effort of cooking for 100…I wud have fainted that minute itself..
wow for 100 ppl?..7 kg rice!! hats off to u!! its one os the easiest and flavorful rice dish! i am sure all ur office mates must have enjoyed it!! hmm..cooking for 100 ppl is a big ttask…kudos 2 u dear.. Cooking for hundred is not an easy job and kudos to you for preparing it.. KUdos to u dear, 100peoples thats a huge number for me…Btw coriander rice looks truly delicious..
u are certainly a super cook… oops..! very healthy ofcourse.. Kudos to you, Valli. Cooking for a crowd is not a easy job. You have done it perfect. Liked the idea of straining the coriander paste to avoid fibre. Since I made and blogged this not too long ago, I know this is one of the most flavorful rice dishes – Yours looks super!!! Great effort. And you managed step by step too! 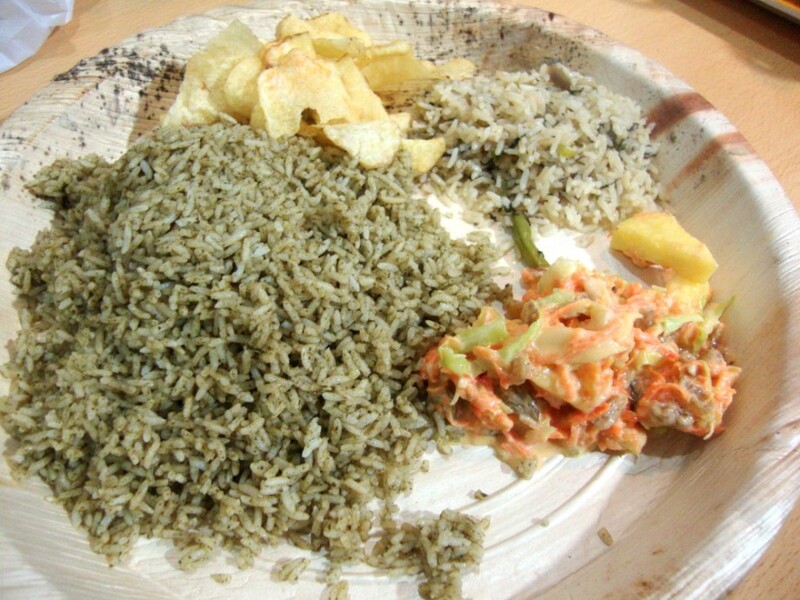 Wow great effort dear,flavorful and yummy rice,nice recipe. I always in awe when I hear people cooking in large quantities. I can manage to cook for 15 – 20 people. My brother in law has built Annapoorna temple in our home town Kadapa, in Andhra. Since it is Annapoorna temple, devotees get free food any day and especially on festival days, if they can't get hold of cooks, my SIL cooks for hundreds. 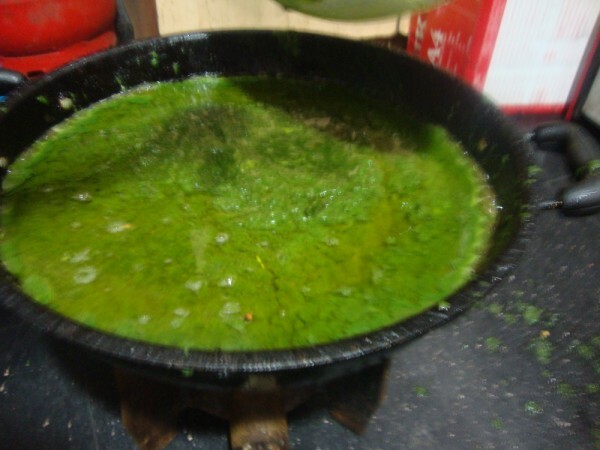 A very tempting saatham with my favorite herb too. Amazing step by step photos. I am amazed by your energy..with 3 kids where do you find time?? You certainly know how to manage your time efficiently! Awesome! I just cannot imagine cooking for 20 this is brilliant. As regards the rice, I think I will risk repeating myself as I cannot think of any other apt adjective, Awesome!! 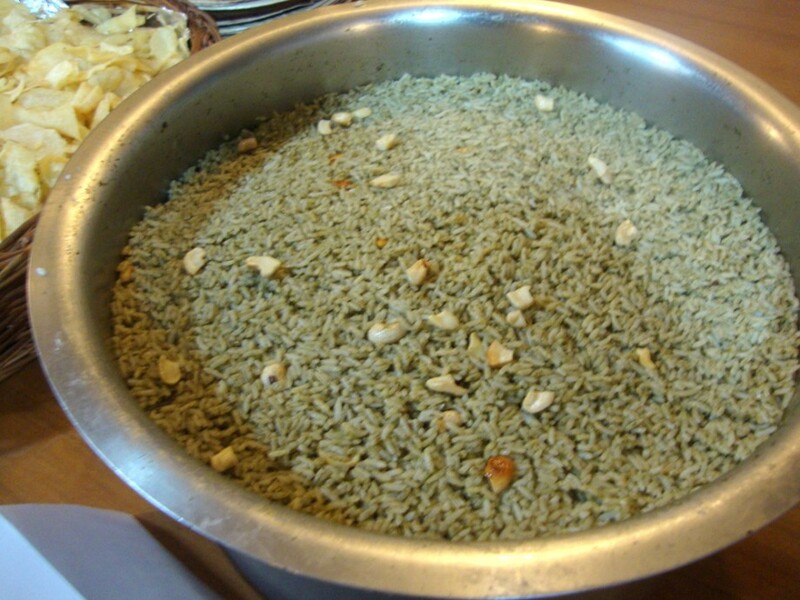 The rice looks very delicious..but cant imagine how you cooked for such a big crowd…you are awesome..!! so wonderful and delicious rice !! Thank you everyboyd for your comments. I had our cook helping me, it was managable.